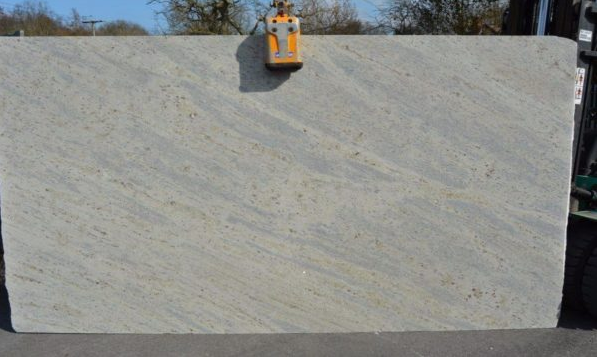 Landford Stone is currently the only company in the UK to have original Kashmir White back in stock! This popular material has not been quarried now for just over 3 years. On the last trip that we made to Italy just a few weeks ago, we managed to find some original Kashmir White blocks; we jumped at the chance and bought them all. 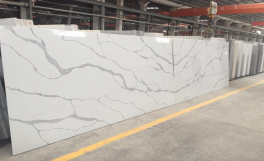 Some of these These beautiful slabs arrived in our yard within the last 7 days and sold immediately in the first few days. More now on its way and will be with us soon. Kashmire White was one of the best sellers and we hope to see this continue when the next batch arrives in stock. Please ask the office to quote in original Kashmir White, if you’re interested in this popular material. Landford Stone will be more than happy to send you photos of current slabs in stock but at this time, we will not be cutting it down for samples. So based on this we would highly recommend coming to see them in all their glory in our yard. You are all invited to our annual open day at Landford Stone on Friday 5th of August 10.00am-16.00pm. 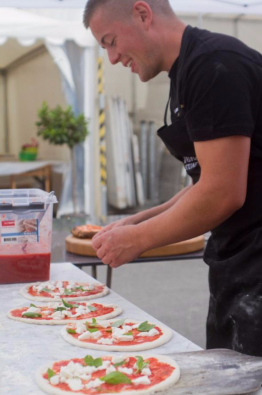 We will have a Stone Bake Pizza Oven and Hog Roast, Refreshments, new materials on display from leading suppliers, demonstrations on new sealant products, raffle and factory tours. Come and see for yourself. Let’s not forget the famous TELTOS by Landford Stone. New Teltos bookmatched colours will be here to view; perfect for creating that stunning bookmatched look, the newest trend, this will be a great day for all both trade and private customers. Local Radio will be doing their morning show live from Landford Stone, with interviews and prizes to be won. If you are interested in joining us please let us know by either emailing ryan@Landfordstone.co.uk or by Registering online with this form. Landford Stone have been looking at ways of brining bookmatched materials to the market at cost effective prices, it has taken some time but we are happy to say that we will now be offering two different designs to start with in 2016 of beautiful bookmatched materials provided once again through TELTOS with the standard 15 year warranty that comes with all TELTOS materials.